"The Coiner of Weasel Words"
Click on the banner above to go to the Woodrow Wilson homepage at the University of Virginia's Miller Center. 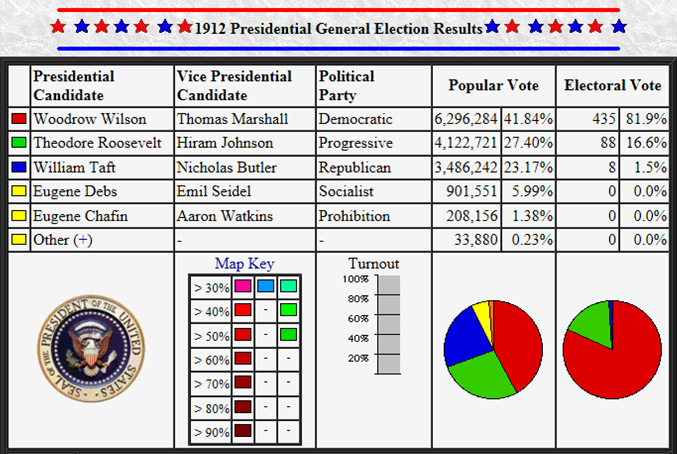 Click on the buttons below for in-depth information about Wilson's Presidency. Wilson was the first President to receive a Ph.D., which he got in Political Science from Johns Hopkins University in 1886. He received his undergraduate degree from Princeton University in 1879. Wilson believed in segregation, which is the separation of the races in all facets of life (transportation, school, military, work, etc). In fact, he allowed his Cabinet officials to expand segregation within government departments in ways that hadn't been allowed since the end of the Civil War. 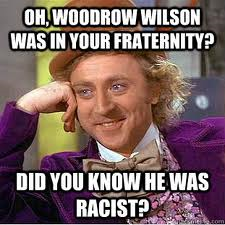 Wilson was the first to show a motion picture in the White House. He showed The Birth of a Nation, which has become the most banned film in American history. The 1915 silent film chronicles the relationship of two families in Civil War and Reconstruction-era America: the pro-Union Northern Stonemans and the pro-Confederacy Southern Camerons over the course of several years. The assassination of President Abraham Lincoln is dramatized. The film was a commercial success but was highly controversial owing to its portrayal of African-American men (played by white actors in blackface) as unintelligent and sexually aggressive toward white women, and the portrayal of the Ku Klux Klan (whose original founding is dramatized) as a heroic force. There were widespread protests against The Birth of a Nation, and it was banned in several cities. The movie is also credited as one of the events that inspired the formation of the "second era" Ku Klux Klan at Stone Mountain, Georgia, in the same year. The Birth of a Nation was used as a recruiting tool for the KKK. While Wilson was in office, Mexico was in a state of rebellion. Venustiano Carranza became the President of Mexico upon the overthrow of Porfirio Díaz. However, Pancho Villa held much of Northern Mexico. In 1916, Villa killed 17 Americans on a deadly night raid into Columbus, New Mexico. 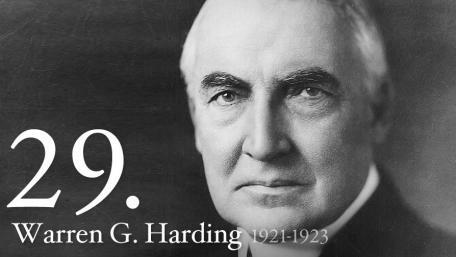 Wilson responded by sending 6,000 troops under General John Pershing to the area. When Pershing pursued Villa into Mexico, Carranza was not pleased and relations became strained. The U.S. never captured Villa and eventually adbandoned the search to focus on its involvement in World War I.
Wilson was President during World War I. He attempted to keep America out of the war and even won re-election with the slogan "He kept us out of war!" Nonetheless, after the sinking of the passenger ship Lusitania (that killed 1,198 people, including 154 Americans), continued run-ins with German U-Boats (submarines), and the release of the Zimmerman Telegram (that urged Mexico to declare war on the U.S. in exchange for, after a German victory, the return of all lands ever taken by America), America joined the Allies in 1917. Three Amendments were ratified while Wilson was President. 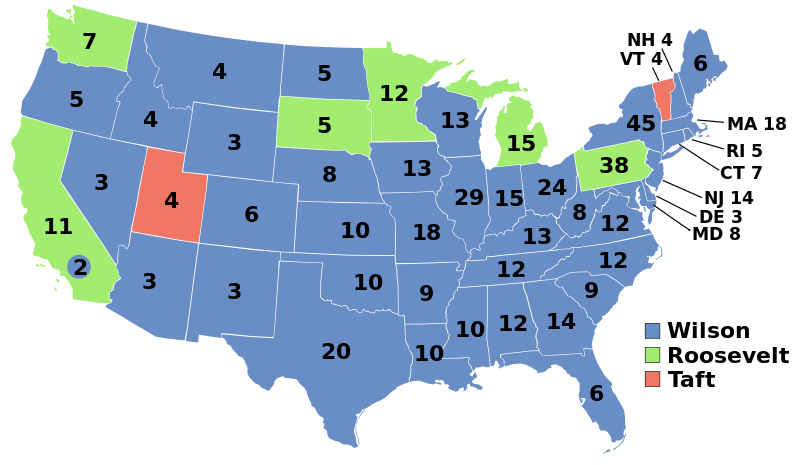 The 17th Amendment (1913) changed the manner in which Senators are selected (allowing the people, rather than state legislatures to select their representatives). The 18th Amendment (1919) started Prohibition. The 19th Amendment (1920) granted women the right to vote. In 1913, Wilson held the first regular Presidential Press Conference. Afterwards, he met the press twice a week. Wilson was the third President to have a wife die while in office. Ellen died in 1914 from Bright's disease (kidney disease). Presidents John Tyler and Benjamin Harrison also had wives that passed away while in office. 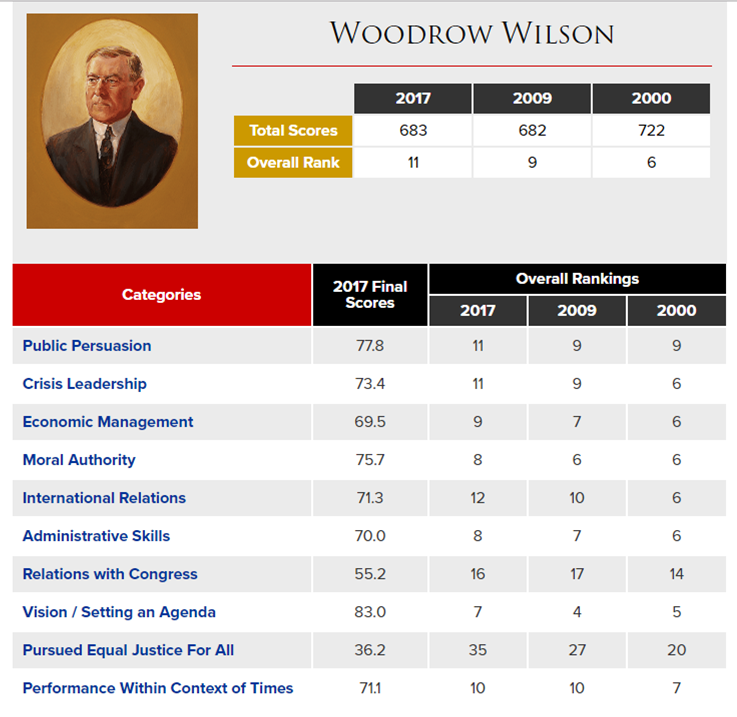 Wilson created his Fourteen Points laying out the goals that the U.S. and later other Allies had for worldwide peace. 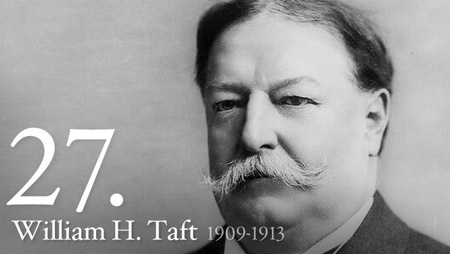 He actually presented them in a speech given to a joint session of Congress 10 months before the end of World War I. One of the points called for the creation of a worldwide association of nations that would become the League of Nations in the Treaty of Versailles. (The League, while unsuccessful, paved the way for the creation of the United Nations in 1945.) 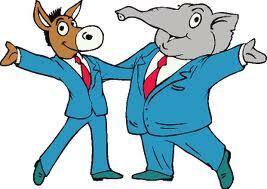 However, opposition to the League of Nations in Congress meant that the treaty was never ratified in the U.S. 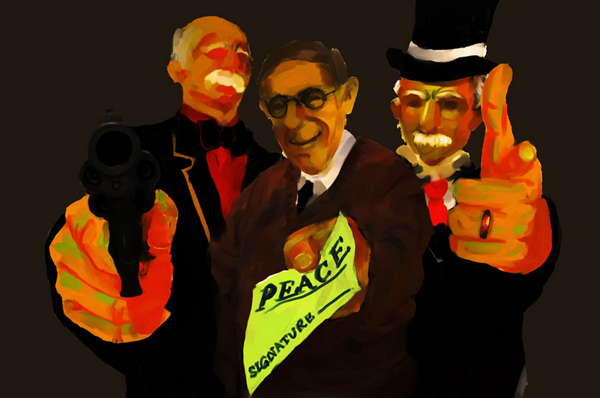 The U.S. later signed the Treaty of Berlin in 1920. Wilson became the second President to win the Nobel Peace Prize in 1919 for his efforts to avert future world wars. 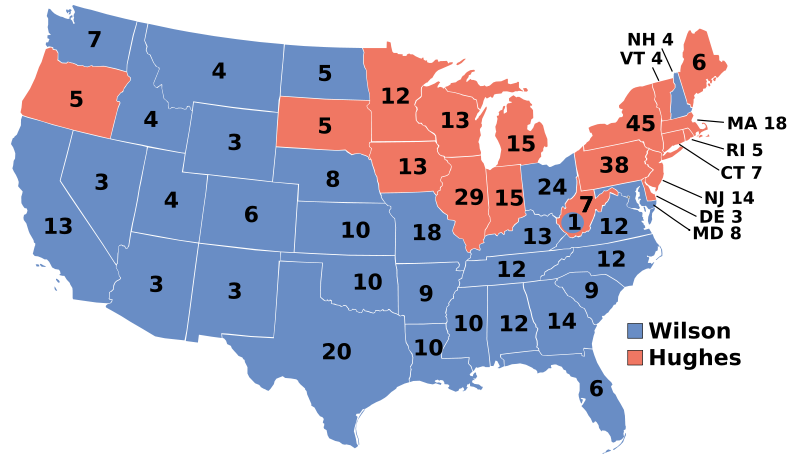 Teddy Roosevelt won it in 1906, Jimmy Carter won it in 2002, and Barack Obama won it in 2009. 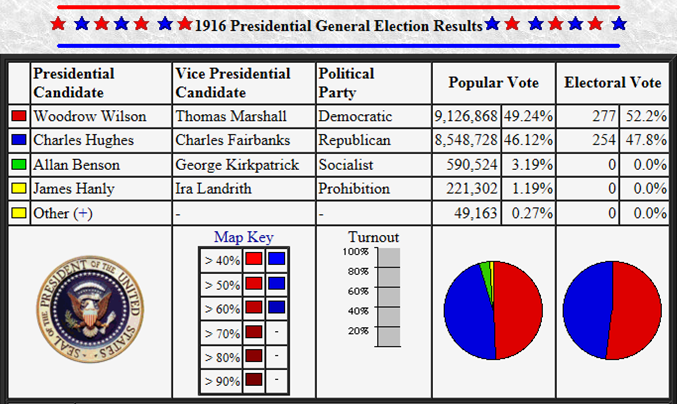 The Woman Suffrage Movement won no support from Wilson's second wife, Edith. When Wilson ordered the arrest of suffragists demonstrating in front of the White House in 1917, she referred to them as "those devils in the workhouse". Wilson's shift on the suffrage question (he eventually favored the 19th Amendment that granted voting rights for women) resulted from political considerations, not from any influence of his wife. 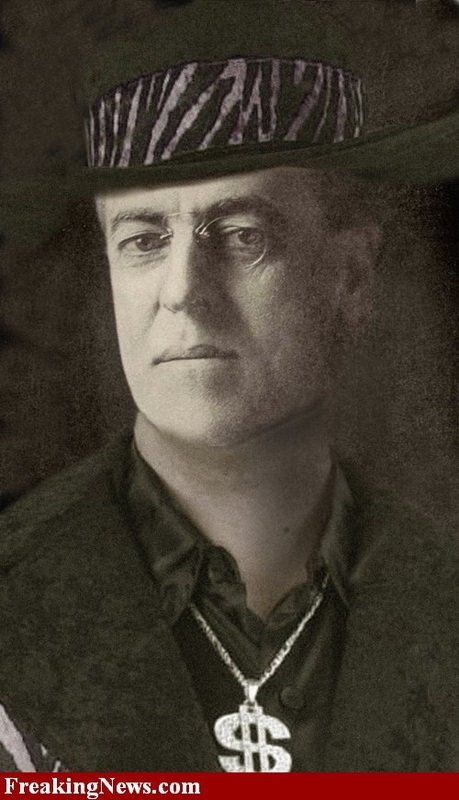 In September 1919, as Wilson toured the country to win support for the Treaty of Versailles (which committed the U.S. to join the League of Nations), he became ill. He returned to D.C. but suffered a major stroke in October that left him incapacitated for the next five months. His wife, Edith, convinced that Wilson's recovery depended on his retaining the Presidency and not turning duties over to the Vice President (Thomas R. Marshall), kept the exact nature of his illness secret from the public and made sure that he saw only his physician and a very few trusted friends. She screened all communications to him, deciding what he should see and what could wait. When it became clear to many Americans that the President was not doing the job they had elected him to do, critics objected that Edith was running the government. The popular view continues today that Edith ran the country that winter, but historians have concluded that this exaggerates the truth.